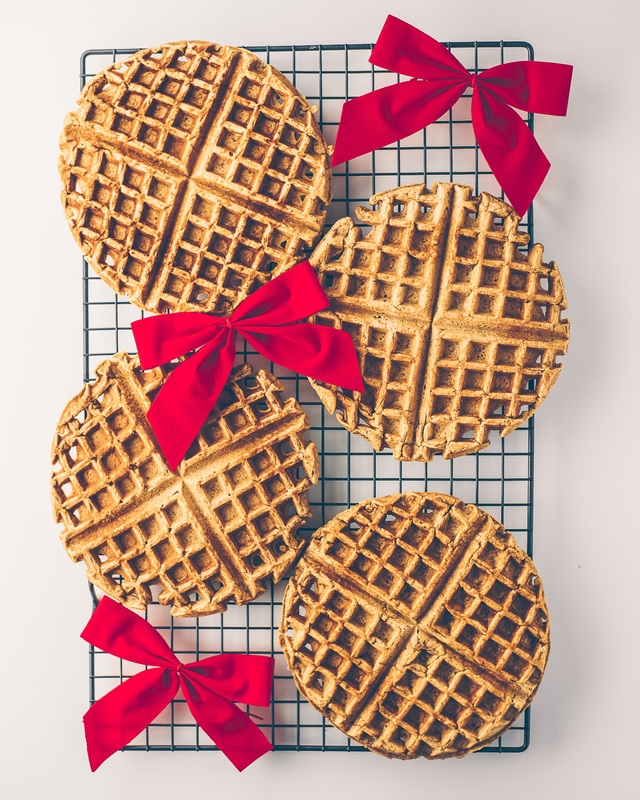 Get into the holiday spirit with Gingerbread Waffles. Don’t worry, it’s a vegan+gluten free option as well. The end of the Thanksgiving, in my opinion, is the unofficial start of all things Christmas. As breakfast addict, I love switching up my routine with different meals. 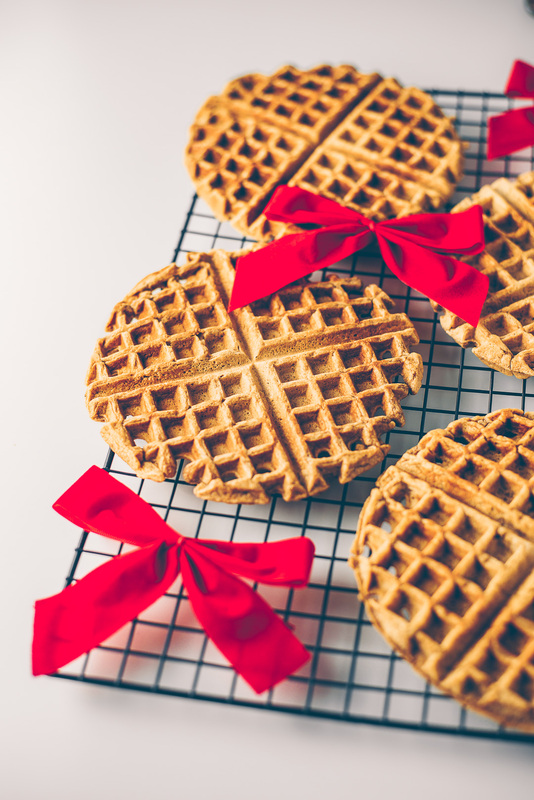 To get you in the mewd for the upcoming holiday I made Gingerbread Waffles. The plan was to have this recipe done about a week ago but life happened. Nevertheless, I’m here with the goodies and ready to share with you all. The first recipe includes dairy. Start with the dry ingredients. Mix all purpose flour, baking powder, cinnamon, ginger, allspice, nutmeg, cloves, and salt in large bowl. In a separate bowl combine the eggs, butter, brown sugar, milk and vegetable oil. Pour wet ingredients into dry and stir until evenly mixed. Try not to over stir. Let sit for several minutes. 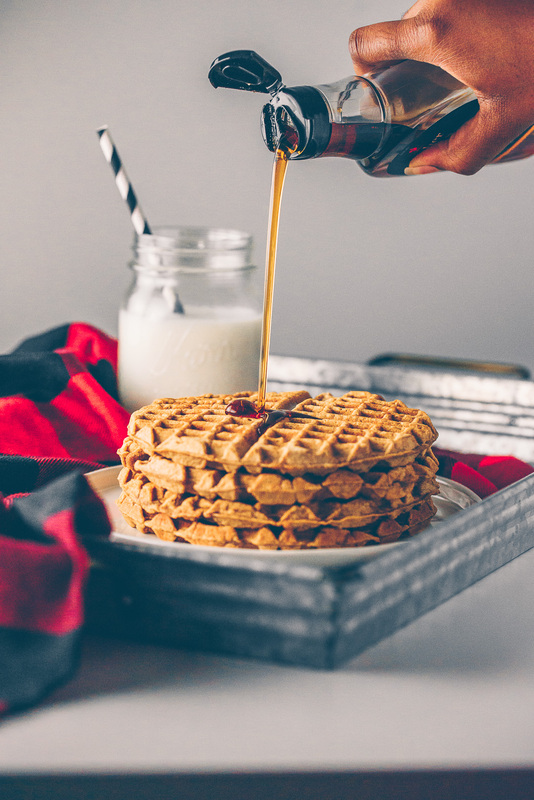 Pour 1/2 cup batter into heated waffle maker. I currently use a Cuisinart WMR-CA Round Classic Waffle Maker ” target=”_blank” rel=”noopener”>Cuisinart waffle maker. 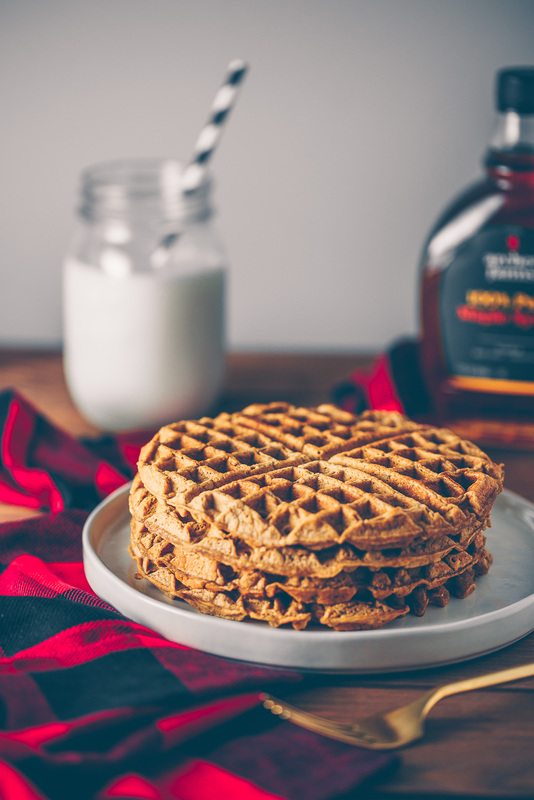 It’s perfect if you like thinner waffles. To make the best waffles, the setting was set to 4 and each waffle was cooked for about 30 -40 seconds. For the second recipe I used flax eggs (1 tablespoon of ground flax meal and 3 tablespoons of water equals 1 egg), coconut oil, unsweetened almond milk. and oat flour. 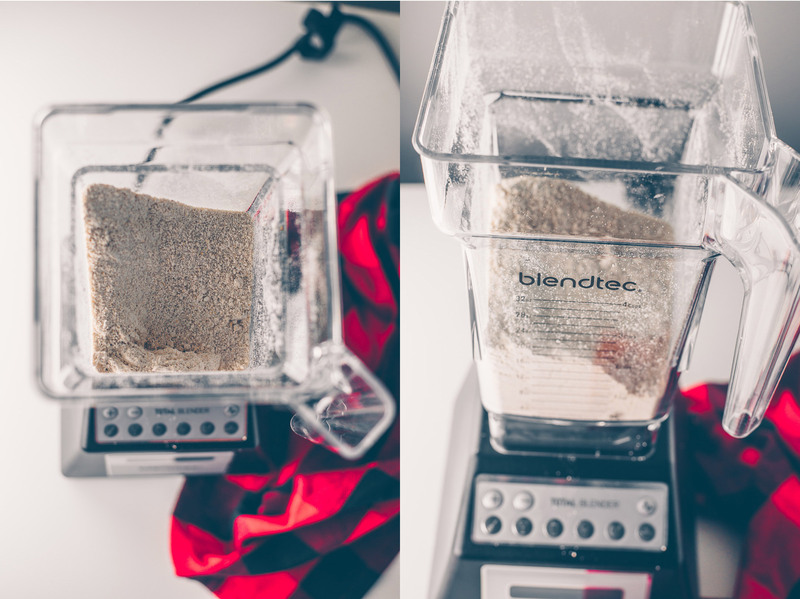 Using my new Blendtec Total Blender Classic, with FourSide Jar, Black ” target=”_blank” rel=”noopener”>Blendtec I made oat flour from old fashioned oats. There were a few things I noticed when making these waffles. The vegan waffles needed more time to cook in the waffle maker (about 1 minute for each waffle). Also, the color of the vegan waffles were darker which is always a plus. Regardless both waffles came out deliciously well. The recipe should yield at least 4 waffles. Extras can be frozen and saved for a later.